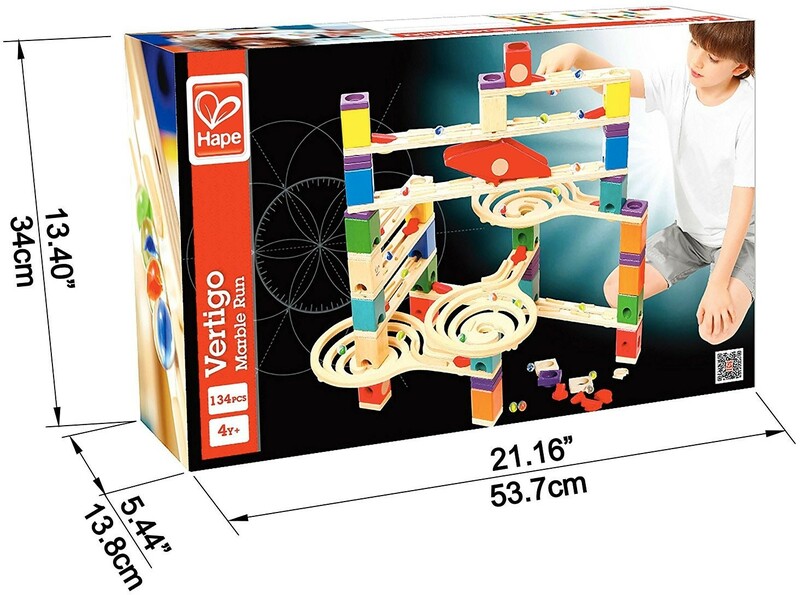 Quadrilla is the most stable wooden marble run on the market and so much fun for kids and adults. 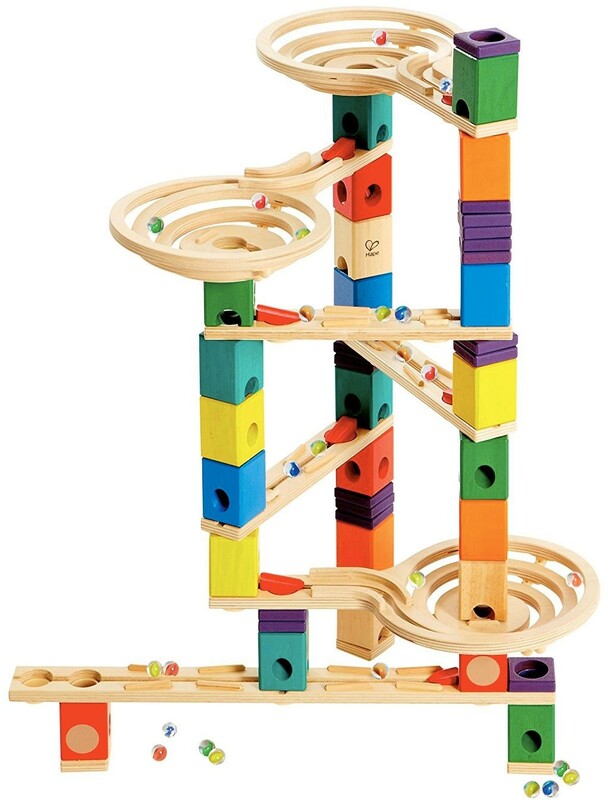 Children will love constructing their own unique designs and watching the way marbles roll through them, or copying the wonderfully concise designs included in the Twist and Rail play manual. Kids can create tandem designs and race marbles through them. 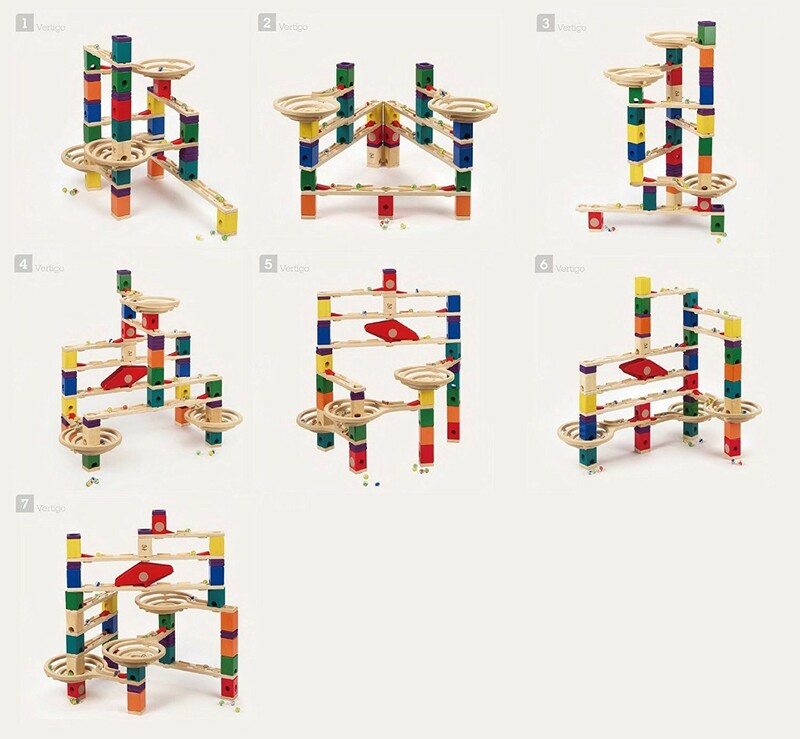 Start simple to get the hang of all the color coded blocks, then increase the complexity of designs. How high can you build? 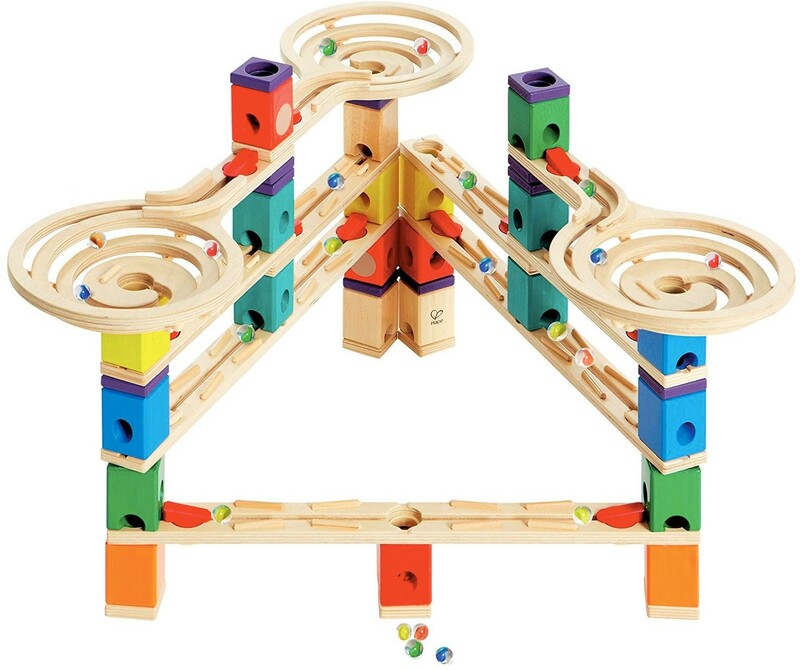 With 134 pieces including straightaway rails, spiral funnels, and a seesaw, all in Baltic birch construction, she'll have hours of fun!